A version of the game, described as "a totally different design and thus a totally different game", was released in 1994. The PC game is an RPG wherein the player, after an opening cinematic, takes control of Frodo Baggins just outside of Bag End. 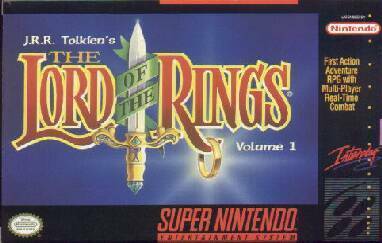 From here, the player gradually "recruits" various members of the Fellowship, and while the game can be completed by following the novel for the most part, many side-quests also exist to entertain the player. 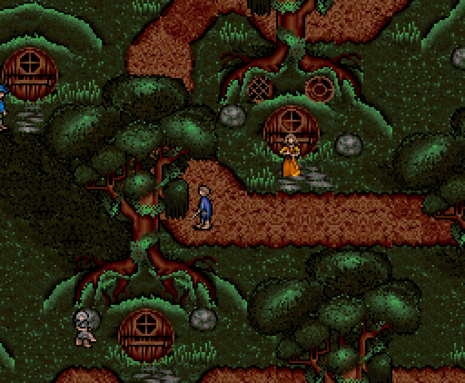 The game world was quite large and featured a cast of characters from both the text and outside of it; character interaction is carried out through "questioning" other characters by typing keywords in a box. The player can swap whoever leads the "fellowship", equip other party members with a range of weapons and armour, distribute skills among the group, cast spells, and perform various skill-based actions. While following a somewhat linear plot, gameplay is quite open and players can revisit old areas and, potentially, discover new situations and characters, creating a fairly dynamic game world. The game also includes a day/night cycle, in which enemies such as the Nazgûl make more frequent appearance outside of daylight hours, and other enemies receive strength bonuses in the dark. Departures from the book include new characters and shifts in items to create player "quests"--such as finding the pieces of Andúril scattered across the lands west of Rivendell to reforge Aragorn's sword, whereas in the book Aragorn had all fragments. The most significant change is in the climax, where Frodo and Sam are carried off by a Nazgûl to the tower of Dol Guldur, and the rest of the Fellowship must solicit the help of the Elves of Lothlórien and Radagast the Brown, a wizard, in order to infiltrate the tower and save Frodo before the Witch-king carries him away to Mordor. Strangely enough, events in Lothlórien are actually quite true to the book, including the mirror of Galadriel and a quest to find all the gifts she gives the Fellowship.